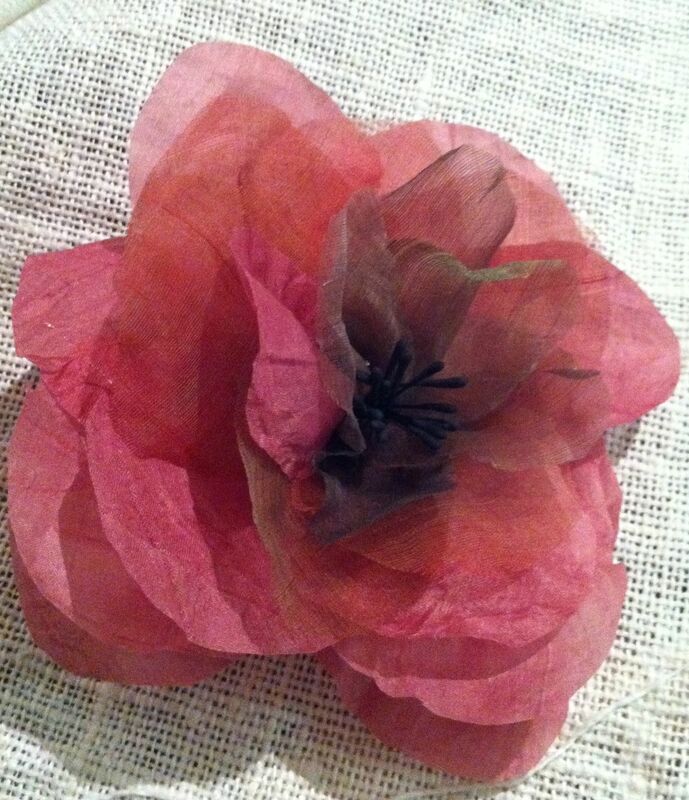 to present a workshop on making stiffened silk fabric roses today. We all had a ball. Thanks Trudi and Helena!! I’ll do better next time….but in the meantime here is my first attempt…..